_Opera News_ hails Lyubov Petrova as a “soprano of ravishing, changeable beauty, blazing high notes and magnetic stage presence.” In the 2018-19 season, she returns to Florida Grand Opera as Countess Almaviva in Le nozze di Figaro. Last season, she sang Susanna in Le nozze di Figaro with the Metropolitan Opera, her first performances of Freia in Das Rheingold with both the London Philharmonic and Odense Symphony Orchestra, and returned to the Metropolitan Opera for their production of Così fan tutte. She also joined Bard Music Festival for Marfa in The Tsar’s Bride, [email protected] for Shostakovich’s From Jewish Folk Poetry, and returned to La Jolla Music Festival for performances Lilla-Lobos’ Bachianas Brasileiras and selections of Schubert Lieder. She recently she sang her first performances of Tatyana in Eugene Onegin with Florida Grand Opera, Sophie in Der Rosenkavalier at the Bolshoi Theater in Moscow, and Sofya in Prokofiev’s Semyon Kotko with Vladimir Jurowski conducting the Radio Filharmonisch Orkest at the Concertgebouw. Other performances for the soprano include: the Four Heroines in Les contes d’Hoffmann with New Israeli Opera; Despina in Così fan tutte at the Hyogo Performing Arts Center in Japan; Violetta in La traviata with Korean National Opera; the title role in Manon at the Teatro Massimo in Palermo; the title role in Martin y Soler’s L’arbore di Diana at the Teatro Real; Juliette in Roméo et Juliette with Nederlandse Opera, Dallas Opera, and Pittsburgh Opera; Gilda in Rigoletto also with Pittsburg Opera, previous performances of Lucia di Lammermoor and Zerbinetta in Ariadne auf Naxoswith Washington National Opera; Cleopatra in Giulio Cesare and Susanna in Le nozze di Figaro with Glimmerglass Opera, Adalgisa in Norma at the Bellini Festival in Catania; Zerbinetta in Ariadne auf Naxos with Opéra national de Paris, Teatro Real, Los Angeles Opera, and Pittsburgh Opera; Pamina in Die Zauberflöte and Valencienne in Die lustige Witwe at the Teatro Colón; Linsinga in the Rossini rarity, Demetrio e Polibio; at the Teatro San Carlo di Napoli Adele in Die Fledermaus and Louisa in Betrothal in a Monastery with Glyndebourne Festival Opera (both available commercially, the former as a DVD and the latter as a CD) and in subsequent performances at the BBC Proms at Royal Albert Hall; Angelica in Orlando and Louisa in Betrothal in a Monastery at the Palau de les Arts Reina Sofia in Valencia; sang Aristea in L’Olimpiade at the Pergolesi Festival in Jesi, Italy; Elvira in I puritani and Susanna in Le nozze di Figaro with Palm Beach Opera; further performances of Lucia di Lammermoor with Pittsburgh Opera, Austin Lyric, Opera Lyra Ottawa, and Central City Opera; Oscar in Un ballo in maschera with Houston Grand Opera; Sophie in Der Rosenkavalierwith the Atlanta Symphony Orchestra and Bolshoi Opera; and Virtù and Pallade in L’incoronazione di Poppea with the Teatro Real. She has joined the Spoleto Festival U.S.A. for the title role of Lakme, Despina in Così fan tutte, and further performances of Zerbinetta in Ariadne auf Naxos and with Opera Novaya in her native Russia, she has sung Violetta in La traviata, Lyudmila in Glinka’s Ruslan i Lyudmila, the title role in Rimsky-Korsakov’s Snow Maiden, and Marfa in Rimsky-Korsakov’s Tsar’s Bride. She was also featured as the Queen of the Night on the 2006 film of The Magic Flute directed by Kenneth Branagh. Ms. Petrova made her Metropolitan Opera debut as Zerbinetta in Ariadne auf Naxos. 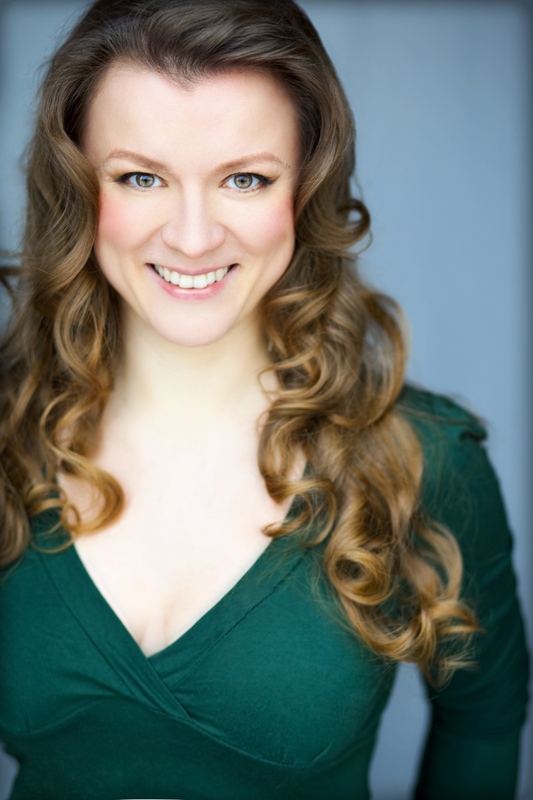 The former participant in the company’s prestigious Lindemann Young Artist Development Program has returned for numerous roles including Sophie in Der Rosenkavalier, Pamina in Die Zauberflöte, Norina in Don Pasquale, Sophie in Werther, Nannetta in Falstaff, Oscar in Un ballo in maschera, Adele in Die Fledermaus, Blondchen in Die Entführung aus dem Serail, Xenia in Boris Godunov, and Woglinde in Das Rheingold as well as for the company’s productions of Giulio Cesare and Le nozze di Figaro. She has sung Brahms’ Ein deutsches Requiem with the Hong Kong Philharmonic and Rachmaninov’s The Bells with the Florida Orchesta. In her native Russia, she has joined the Russian National Orchestra for further performances The Bells (available commercially on the Warner Classics label) and Artiomov’s Requiem with the Russian National Orchestra; Bach’s Magnificat and Haydn’s Lord Nelson Mass with Helmuth Rilling conducting the Moscow Conservatory Orchestra; and Mozart’s Exsultate, jubilate with the Moscow Chamber Orchestra. She has also sung a program of Johann Strauss with Julius Rudel conducting the New Jersey Symphony Orchestra and joined the Pressburger Symphoniker at the Schloss Esterhazy in Austria for a concert of Rossini, Donizetti, Bellini, Mozart, and Bizet.